LakewoodAlive today unveils its full slate of community events for the second half of 2016. A half-dozen events totaling 18 dates will afford attendees ample opportunities to partake in the City of Lakewood’s vibrancy during the next six months. The event schedule kicks off on Friday, July 1, with the inaugural evening of LakewoodAlive’s Front Porch Concert Series. Sponsored by Bentley Wealth Management of Raymond James, this series features free, live music on the front porch of the Lakewood Public Library (15425 Detroit Avenue) in Downtown Lakewood from 7 to 9 p.m. for 11 consecutive Fridays. The July 1 edition brings to the stage The Havana Nights Orchestra, which will heat up the summer evening with Cuban flair and salsa-style music. The Lakewood Summer Meltdown takes place from 4-10 p.m. on Saturday, July 9. Soon after our concert series gets underway, another marquee community event is right around the corner. 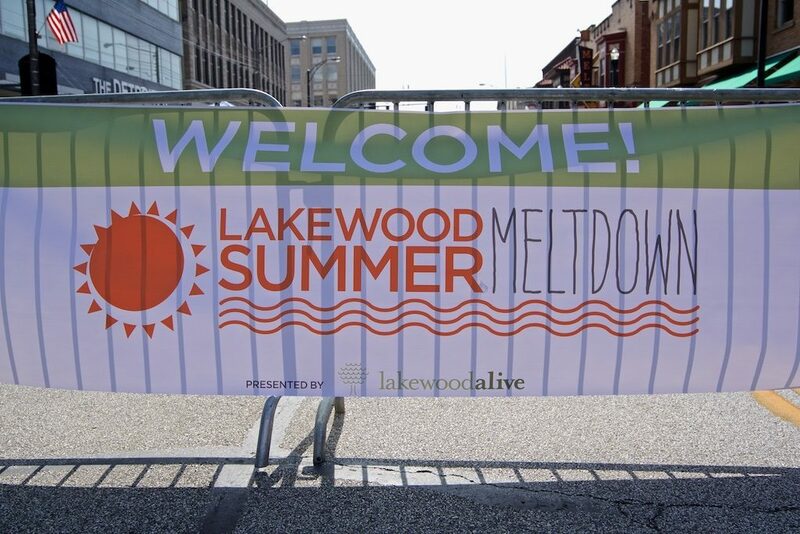 The Lakewood Summer Meltdown 2016 – sponsored by Melt Bar & Grilled – takes place from 4 to 10 p.m. on Saturday, July 9. This summer tradition draws nearly 10,000 attendees to Downtown Lakewood annually for an afternoon and evening chock-full of recreation and celebration opportunities, including the Meltdown 5K, 1 Mile Kids Fun Run (sponsored by the Lakewood Family YMCA), street festival, outdoor activities, food vendors, live music, beer garden (sponsored by Buckeye Beer Engine) and more. Lakewood Wine & Craft Beer Festival: Saturday, Sept. 10 from 5 to 10 p.m.
Spooky Pooch Parade: Saturday, Oct. 15 from 12:30 to 3:30 p.m.
Lakewood Chocolate Walk: Thursday, Oct. 27 from 6 to 9 p.m. Collectively, these six events drew more than 35,000 attendees in 2015. For more information regarding each community event, please visit our website at www.lakewoodalive.com.